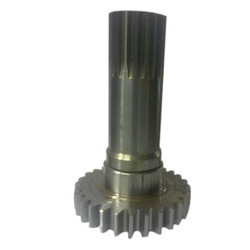 Pioneers in the industry, we offer gear pto shafts, pto shafts, vehicle pto shafts and spline pto shafts from India. In order to match up with the exact demands of the clients, our experienced engineers offer high grade Gear PTO Shafts that are widely used in both heavy as well as light vehicles. These PTO shafts are manufactured by our diligent professionals by utilizing quality tested raw materials and advanced techniques at our technically sound production unit. Available in different specifications in accordance with our clients' specific demands, we provide these PTO shafts at market competent prices. Being one of the most prominent leaders in the industry, we are the experts in providing PTO Shafts. The offered PTO shafts are basically a shaft used in agricultural applications considering the environment where they are being used. It is an integral part of transmitting the power developed in a tractor to the agricultural equipment, be it a pump, rotavator, pre-harvesting or post harvesting equipment. Moreover, these PTO shafts are being offered to our clients in a stipulated frame of time. 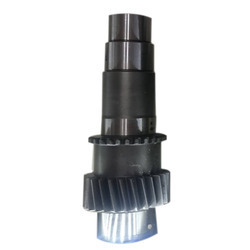 We feel glad to introduce ourselves as the leading names occupied in offering an excellent quality range of Vehicle PTO Shafts. These IPTO shafts are designed and manufactured at our well-equipped production unit by utilizing finest quality materials with help of advance tools and techniques. IPTO shafts are widely demanded in agricultural and food processing fields for assembling with threshers for proper cleaning of seeds, rice and other food items. This IPTO shafts is availed in several capacity options as per requirements of our valuable customers. 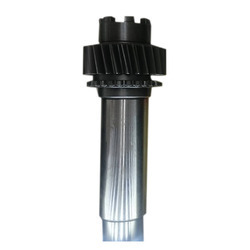 We have emerged as the leading names of a wide range of Spline PTO Shafts. These PTO shafts are designed and manufactured by our experts using premium quality raw materials in conformity with the industry quality standards. 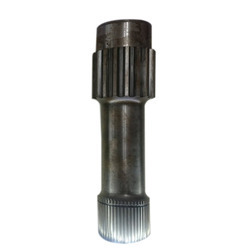 The offered PTO shafts are widely used in automobile and engineering industries. These PTO shafts are highly appreciated by our clients for their features like high strength, precise design, corrosion resistance and strong construction.